Enjoy this sparkling gem of a game and play Jewel Thief with Vegas Spins! Win great bonuses and free spins, crack the safe's code, and make out like a bandit! Dress in your best jewels and get into the proper mindset when you spin to win with Jewel Theif! 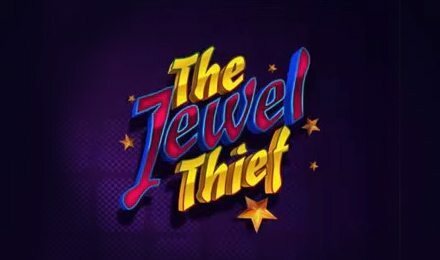 The dazzling animation showcases highly recognizable creative symbols like the Theif, the Safe, the famous Bar, and the Wild Jewel Theif logo. Find yourself in a high speed chase, amongst stolen gems and fast action! Find out if you can spin for major wins while getting away with stolen gems galore. See how fast you can stash this cash and come out a winner when you play Jewel Theif!